Late 1980s; "BMF" name given around the year 2000. The Black Mafia Family (BMF) was a drug trafficking organization originally based in River Rouge, Michigan, a suburb of Detroit, that was founded in the late 1980s by brothers Demetrius and Terry Flenory. By the year 2003, they had established the cocaine distribution cells throughout the United States. Through their Los Angeles-based drug source, they had direct links to Mexican-based drug cartels. They established two main hubs for their operation: the Atlanta, Georgia hub, for distribution, was operated by older brother Demetrius, while the Los Angeles, California hub was operated by Terry to handle incoming shipments from Mexico. Its network eventually spanned as far as Los Angeles, California to Atlanta, Georgia. Around 2000, the organization tried to legitimize itself by entering the hip-hop music business, starting a company called BMF Entertainment. Through BMF Entertainment, it helped promote a number of artists, including Young Jeezy, as well as BMF Entertainment's sole artist, Bleu DaVinci. Before their entrance into the music business, the Flenory Brothers were known to associate with a number of high-profile hip-hop artists, including Jay-Z and Fabolous. In 2005, the Drug Enforcement Administration (DEA) indicted members of the Black Mafia Family, ultimately securing convictions by targeting the Flenory brothers under the Continuing Criminal Enterprise Statute. Both were sentenced to 30 years in prison. Subsequent indictments eventually targeted over 150 members of the organization. Prosecutors alleged the organization made over $270 million over the course of the conspiracy. 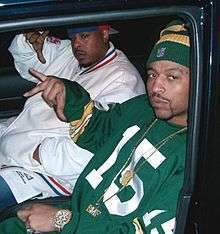 Demetrius "Big Meech" (Demetrius Edward Flenory, b. June 21, 1968 in Detroit, Michigan) and his brother Terry "Southwest T" (Terry Lee Flenory, b. January 10, 1972 in Detroit, Michigan) began selling $50 bags of cocaine on the streets of Southwest Detroit, during their high school years. By 2000, they had established multi-kilogram cocaine distribution cells in Alabama, California, Florida, Georgia, Kentucky, Louisiana, Michigan, Mississippi, Missouri, North Carolina, Ohio, and Tennessee. A two-year federal investigation of the organization estimated its nationwide membership as over 500. Around 2001, there was a split between the brothers, with Terry moving to Los Angeles with his girlfriend to head his own organization and Demetrius staying in Atlanta. By 2003, the two had been involved in a major falling out and rarely spoke to one another. In a conversation with his sister Bernatta, caught by the DEA on wiretap, Terry discussed his worries that his brother's excessive partying would bring the wrong type of attention to their business. By the time charges were filed, the government had 900 pages of typed transcripts of wiretapped conversations from Terry's phone in a 5-month period. In November 2007, the brothers pleaded guilty to running a continuing criminal enterprise. In September 2008, both brothers were sentenced to 30 years in prison for running a nationwide cocaine-trafficking ring, which lasted from 2000 to 2005. Demetrius Flenory is serving out his sentence at FCI Pollack in Pollock, Louisiana and is scheduled for release on December 16, 2031, around his 61st birthday. While incarcerated at United States Penitentiary, Lompoc, a medium-security federal prison in California, he adopted the name Big Herm. His brother is serving his sentence at FCI Coleman Low in Sumterville, Florida and is scheduled to be released on December 14, 2031. In 2004, Bleu Da Vinci's album, World Is BMF's, was nominated for a Source Award. BMF appeared in numerous underground hip-hop DVD magazines, most notably several issues of S.M.A.C.K. and The Come Up. The organization's most highly visible appearance was in a full-length DVD that was produced by The Raw Report, which gave a detailed inside look at their movement. The DVD was featured Vibe's cover article on BMF in the May 2006. It received wide acclaim from DJs for the Soundsmith Productions produced song "Streets on Lock", headed by BMF affiliate Bleu Davinci and featuring Fabolous and Young Jeezy. A music video was later produced for the single, though it was never released to networks. Creative Loafing senior editor Mara Shalhoup wrote a three-part series about the Black Mafia Family entitled Hip-Hop's Shadowy Empire, which was the first in-depth report on the organization. Her later book on the organization, BMF: The Rise and Fall of Big Meech and the Black Mafia Family, was published in March 2010. Demetrius Flenory was interviewed from prison by the magazines Don Diva and The Source. 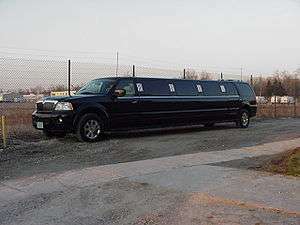 A Lincoln stretch limo owned by BMF. 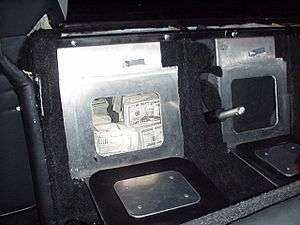 Hidden compartments inside the limousine used to transport cocaine and money. The investigation into the Black Mafia Family began sometime in the early 1990s, before there was any name to the organization Demetrius and Terry headed. The lead-up to the October 2005 indictments began with a series of large drug seizures and subsequent informant testimonies from BMF members. On October 28, 2003, a 2-year Organized Crime Drug Enforcement Task Force investigation began, coordinated by the DEA's Special Operations Division and codenamed "Operation Motor City Mafia". On April 11, 2004, BMF courier and high-level distributor Joshua Sims was pulled over in Jacksonville along I-95 driving a black Range Rover, supposedly for swerving over the fog line. Two suitcases containing approximately 95 kilograms of cocaine and 572 grams of marijuana were found in the back of the Range Rover after a K-9 unit was alerted to drugs in the vehicle. In mid-September 2004, a wiretap on a low-level crack dealer in Atlanta, Rafael "Smurf" Allison, led an HIDTA task force to a mid-level dealer named Decarlo Hoskins. Hoskins informed them that he had grown up with two brothers, Omari McCree and Jeffrey Leahr, who were BMF members and able to supply multi-kilogram quantities of cocaine regularly. Wiretaps revealed that McCree was a high-level distributor for the organization and was favored by Demetrius. On November 5, 2004, Jeffrey Leahr was pulled over with his girlfriend on I-75 in Atlanta due to the wiretaps. In the back seat was a duffel bag containing 10 kilograms of cocaine. They were released later that day in an attempt by HIDTA to gather more information in regards to their supplier and the organization using wiretaps. McCree and Leahr, facing a large debt to BMF for the lost cocaine, went on the run. When picked up June 8, 2005, McCree signed a confidential-source agreement and described his role in BMF. He named Demetrius, "Big Meech", as the source of the cocaine but indicated that he did not actually pick it up from Big Meech himself. According to McCree, Chad "J-Bo" Brown supplied him with cocaine on behalf of Demetrius. These events and a number of others formed the backbone of the government's case against the two brothers. Although Omari McCree gave investigators information, he never actually testified in open court. During trial, the government's star witness was William "Doc" Marshall. Testimony given during various trials say the organization operated as follows: A Mr. Joshua Sims operated five stash houses in the Atlanta area. Approximately every 10 days, vehicles would arrive with 100–150 kilograms of cocaine packed in secret compartments. Workers at the stash houses were paid to unload the drugs and store them. Customers who ordered would call in and say they had their vehicle ready - meaning a transportation vehicle to put the narcotics in. Depending on the size of their order, they were directed to a particular stash house where they would pull in, go inside, hand over money in $5,000 bundles. The cocaine was usually sold at $20,000 per kilogram. The same vehicles would then be filled with cash (the proceeds from drug sales) to be sent back to the Mexican sources of supply. Workers inside the stash houses had certain duties, such as counting bulk amounts of cash, usually in the millions. Other people were packaging the cocaine for customers. BMF also received drugs through large containers at the airport containing 100–150 kilograms of cocaine, which they picked up and delivered to stash houses. November 11, 2003: Demetrius was arrested in connection with the Buckhead-area shooting deaths at club Chaos of Anthony "Wolf" Jones, former bodyguard of P. Diddy, and Wolf's childhood friend, Lamont "Riz" Girdy. However, Demetrius was shot in the buttocks and claimed self-defense; he was subsequently never indicted. July 25, 2004: At a midtown Atlanta club called the Velvet Room, a man named Rashannibal "Prince" Drummond was killed. The incident began after alleged 3rd-in-command of BMF, Joshua Sims nearly backed into Drummond in his Porsche Cayenne Turbo. After Drummond hit the car to alert the driver, the passengers of the car got out and began beating Drummond and his friends. During the fight, a friend of Drummond's fired a warning shot to scare everyone off; joshua sims allegedly retrieved his gun, returned fire, then walked over to Drummond and executed him on the ground. September 2004: Ulysses Hackett and girlfriend Misty Carter were executed in her Highland Avenue apartment in Atlanta. Police say the murders were ordered by Joshua Sims. They claimed Ulysses was thinking of testifying against BMF and Sims, growing suspicious, ordered their murder. May 10, 2005: Henry "Pookie Loc" Clark was killed by rapper Gucci Mane after an attempted robbery of the rapper by Clark and four other men. The five men attacked Mane in the apartment of a stripper he met earlier that day, but Mane was armed and managed to fire at the attackers, hitting Clark. The incident occurred during a feud between Mane and rapper Young Jeezy, a good friend of Demetrius Flenory. Mane was later cleared of the murder charges due to acting in self-defense, but his lawyers alleged the five men were ordered by BMF to commit the robbery. May 11, 2005: A fugitive named Deron Gatling was located by a regional drug task force in Chamblee, Georgia. Task force agents found Gatling behind insulation in the attic; at that moment shots were fired from outside the house at law enforcement. They traced the last number called in Gatling's phone to Jerry Davis, leader of BMF's supposed sister organization, Sin City Mafia. Police alleged that Gatling called Davis to report the officers at his house, and Davis ordered the shots to be fired. May 23, 2005: Shayne and Kelsey Brown, nephews of R&B singer Bobby Brown, were stabbed in the neck with an ice pick at a birthday party at Justin's, P. Diddy's Atlanta restaurant. Witnesses claim that Marques "Baby Bleu" Dixson, the younger brother of BMF rap artist and member Bleu DaVinci, got into an altercation with the Browns alongside bodyguards of rapper Fabolous, who was there with Dixson. During the altercation, Dixson is alleged to have stabbed both in the neck, causing permanent disfigurement. Dixson was murdered in 2006 by his girlfriend. 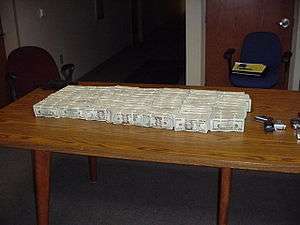 Money seized from the BMF by the DEA. In October 2005, it was reported that some 30 members of BMF were arrested in a massive drug raid orchestrated by the DEA. During these raids, the DEA seized $3 million in cash and assets, 2.5 kilograms of cocaine, and numerous weapons. Prior to the October 2005 raids, the DEA had arrested 17 BMF members, seized 632 kilograms of cocaine, $5.3 million in cash, and $5.7 million in assets. They claimed BMF was responsible for moving over 2,500 kilograms of cocaine a month throughout the United States. Demetrius and Terry Flenory an Joshua sims were charged under the Continuing Criminal Enterprise Statute, conspiracy to distribute 5 kilograms or more of cocaine, possession with intent to distribute more than 500 grams of cocaine, conspiracy to launder monetary instruments, and two counts of possession with intent to distribute more than 5 kilograms of cocaine. Demetrius was captured in a large home in a suburb outside Dallas. Inside, police found a small amount of marijuana and a few MDMA pills. In a safe inside the house were several weapons, as well as multiple vehicles at the home. Terry was captured in St. Louis with small amounts of marijuana and weapons found throughout the house, which was also occupied by multiple people at the time of the arrest. On June 15, 2006, the U.S. Department of Treasury reported that 16 additional individuals had been charged with conspiracy to distribute cocaine and money laundering charges under a second, superseding indictment, bringing the number of people charged in the case to 49. The list of accused included Jacob Arabov, popularly known as Jacob the Jeweler, a well-known celebrity jeweler in the hip-hop community. Arabov and Joshua sims were charged with conspiracy to launder more than $270 million in illegally obtained funds. The Department of Justice also shed light on more of the group's alleged activities in the indictment papers, which included running drug money through various banks and money wiring services in an attempt to disguise its origin. The group had also been accused of obtaining several winning Michigan state lottery tickets from a third party, which they paid cash for, and then cashing in the tickets in an attempt to make the money appear legitimate. The indictment also of joshua sims sought the forfeiture of "more than 30 pieces of jewelry, 13 residences, 35 vehicles including Lincoln Limousine, BMW's, Range Rovers, Aston-Martin, and Bentleys, numerous bank accounts, over $1.2 million in seized currency, and a money judgment totaling $270 million." On July 25, 2007, David Nahmias, the U.S. Attorney for the United States District Court for the Northern District of Georgia unveiled an indictment of 16 more members of the Black Mafia Family. The indictment charged all defendants with participating in the nationwide cocaine distribution conspiracy, which carries a penalty of between 10 years and life in prison, and up to a $4 million fine. The indictments were seen as "shutting down the BMF's once-flourishing drug empire." On July 26, 2007 the government unsealed indictments charging 16 BMF members in Atlanta with conspiracy to distribute cocaine. All 16 defendants were charged with participating in the overall cocaine distribution conspiracy. The conspiracy charge carries a mandatory minimum sentence of 10 years in prison and a maximum sentence of life in prison as well as a $4,000,000 fine. Eventually, all defendants plead guilty before trial except Fleming Daniels, who chose to take his case to a jury, and William "Dewey" White who at the time of the indictment was on Parole in Michigan.The indictment was later dropped on Mr White because of the governments lack of evidence linking him to any of the alleged illegal activity. Mr. White refused to cooperate with the governments investigation and was placed in the Michigan department of corrections for violation of parole. Fleming "Ill" Daniels, a top member in of the Black Mafia Family drug ring, was sentenced to 20 years in prison for drug trafficking on December 17, 2008. The federal judge also fined Daniels $10,000 for taking part in the violent group. Daniels was the 16th defendant indicted in Atlanta on charges stemming from their role in the organization and the only defendant in the Atlanta indictments to go to trial, with 11 others already having pleaded guilty. The government's case relied upon testimony from William "Doc" Marshall and Ralph Simms to convict Daniels. Daniels had not been caught with cocaine nor caught on wiretaps discussing drug business. The testimony from Marshall indicated that he had seen Daniels receive cocaine in the kilograms while he himself was picking up cocaine. Daniels also awaited trial for the July 2004 murder of Rashannibal Drummond. In February 26, 2010 he pleaded guilty and was sentenced to 20 years for voluntary manslaughter. His 20-year sentence will run concurrent to another 20-year sentence stemming for his role on BMF cocaine charges. Rapper and sole artist of BMF Entertainment Barima "Bleu DaVinci" McKnight was sentenced on October 30, 2008, to five years and four months in federal prison. McKnight said at sentencing that when he first met Demetrius "Big Meech" Flenory, Flenory did not show him "the other side of his world", in reference to the cocaine business. He said Flenory presented himself as being involved with music and it was not until much later that he let him into the cocaine side of the business. 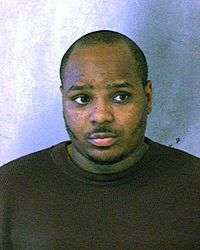 The last remaining suspect, Vernon Marcus Coleman, was arrested on July 17, 2009 in Atlanta. He was indicted in 2007 for possession with intent to distribute cocaine. As of 2015, all 150 indicted members of BMF have been arrested. However, the total number of BMF members exceeded well over 150. The federal government believes the 150 they have indicted and arrested account for the command and control structure, as well as other key figures in the organisation, such as distributors, stash house operators, and transporters. ↑ "The Second of Two Drug Kingpins Plead Guilty To Drug and Money Laundering Charges". News release. US Drug Enforcement Administration. 20 November 2007. ↑ Starbury, Allen (14 September 2008). "BMF Founders Sentenced To 30 Years In Prison". BallerStatus. ↑ Federal Bureau of Prisons. "Inmate Locator: Demetrius Flenory". US Department of Justice. Retrieved 17 May 2012. ↑ Federal Bureau of Prisons. "Inmate Locator: Terry Lee Flenory". US Department of Justice. Retrieved 17 May 2012. ↑ "Bleu DaVinci – Streets On Lock". Discogs. Retrieved 8 January 2012. ↑ Bleu Davinci featuring Young Jeezy and Fabolous. Streets on Lock (Music video). Retrieved 8 January 2012. ↑ Shalhoup, Mara (6 December 2006). "Hip-hop's shadowy empire". Creative Loafing. ↑ "Backissue #35". Don Diva. 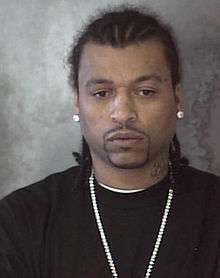 ↑ "Big Meech Interview from Jail (Feb 09')". Forbez DVD Blog. 1 2 3 4 5 6 7 8 9 10 Shalhoup, Mara (2010). BMF: The Rise and Fall of Big Meech and the Black Mafia Family. St. Martin's Press. ↑ Archived January 2, 2009, at the Wayback Machine. ↑ "DEA Deals Motor City Mafia a Knock-out Blow" (Press release). United States Drug Enforcement Administration. 28 October 2005. Retrieved 8 January 2012. ↑ Sales, Nancy Jo (November 2006). "Is Hip-Hop's Jeweler on the Rocks?". Vanity Fair. Retrieved 8 January 2012. ↑ "16 Additional People Indicted in Large Scale Drug and Money Laundering Case" (Press release). United States Drug Enforcement Administration. 15 June 2006. Retrieved 8 January 2012. ↑ "Sixteen Members of Black Mafia Family Charged in Cocaine Distribution Conspiracy" (PDF) (Press release). United States Attorney's Office: Northern District of Georgia. 25 July 2007. 1 2 3 "Ten Black Mafia Family Defendants Sentenced" (Press release). United States Drug Enforcement Administration. 30 October 2008. Retrieved 8 January 2012. ↑ Cook, Rhonda (17 July 2009). "Last remaining member of Black Mafia Family arrested". The Atlanta Journal-Constitution. Retrieved 8 January 2012.